Did you ever stop and think about all of the data you have on Facebook? Now I’m sure I’ve got you worried about privacy, but that wasn’t my intention. No, I mean just think about what your time on Facebook could tell you about your likes and interests and the friends you communicate with. Imagine how cool it would be to visualize all of that information in an infographic of some kind. Well, now you can, with an app called Social Memories. Being a big proponent of infographics and social media data, I love the idea of viewing all of my Facebook ‘social memories’ in book form, and that’s exactly what this app lets you do. 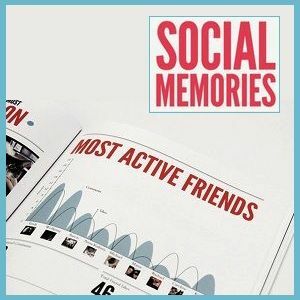 Social Memories is a Facebook app that lets you create a book of your social activity. The app will search through your Facebook history from a chosen period of time and create great looking, infographic-like pages in a book that you can physically order or share on your wall in the form of a photo album. How Do I Use Social Memories? In order to see what Social Memories is capable of, the first thing you’re going to want to do is head over to the app’s Facebook page. Once there, you can click on Go to application to get started. On the next screen, you will have to grant Social Memories permission to access your data so that it can gather information for your book. Being that the book is pretty in-depth, the app asks for a lot, so if you are uncomfortable with giving Social Memories that kind of permission, which you can always revoke later, then perhaps it’s best you stop right here. After you click Allow, as I have just done, you will be taken to your bookshelf. If you’ve used the app previously, the books you’ve created would appear here. To start a new project, just click Create a new book. 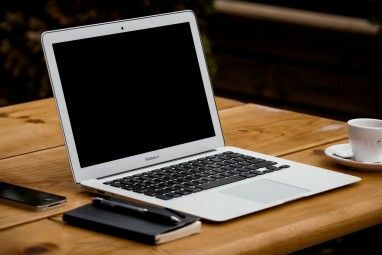 From here you’ll be asked to select your timeline, so whether you would like to make your book about your previous year on Facebook or just a week or two you can make that designation. That’s basically it. Social Memories will gather all the information from your chosen time period and assemble your book for you in a matter of seconds. Once it’s done, you can browse your book to see all the data that’s been put together for you. In the end, you’ll have the option of sharing your book as an album on your profile for free, or if you want, you can opt to order a physical copy of your book (not free). As a heads up, if you would like to do neither of these things, you can just click on the Social Memories logo in the top left to go back to your bookshelf. The one thing I don’t really like about Social Memories is that it doesn’t allow you to view your created book in full-screen, or download it for that matter. That’s understandable though since you have the ability to get an actual book from Social Memories, and the ability to share your book in an album is nice, especially since you can download your Facebook photos Pick & Zip - The Fastest Way to Download Facebook Photos Pick & Zip - The Fastest Way to Download Facebook Photos Read More . What do you think of Social Memories? Good idea? Explore more about: Facebook, Reading. I wish that I could get it to work. Bummer. Why can't you, what's your problem with it?